The Elysian Charter School of Hoboken was conceived and developed in 1995–1996 by a broad-based Hoboken community group called Mile Square Families. Members of this group, comprised primarily of Hoboken parents with young children, shared a sincere interest in public education and an overall commitment to the betterment of the quality of life for children and their families in Hoboken. For many months, the group met to plan the basic mission and design of a charter school, and submitted an application to the New Jersey Department of Education in 1996. The charter was granted in January 1997, and the Elysian Charter School of Hoboken opened the following September. It was one of New Jersey’s original thirteen charter schools. 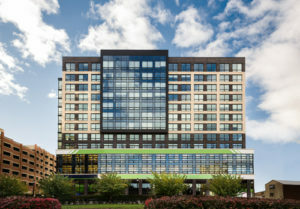 Located along the Hudson River, in the New York City metropolitan area, Hoboken is an ideal location for a school which focuses on the ways in which children can experience, understand and appreciate the human and natural resources of the area through interdisciplinary learning, hands-on experience and critical thinking. The name Elysian Charter School of Hoboken was chosen for the school because in classical Greek mythology, Elysian was the place where virtuous mortals went in their afterlife—a kind of heaven, or a paradise. At the turn of the century, the “Elysian Fields of Hoboken” offered “a place of complete happiness” to Manhattanites who were looking to cross the Hudson River to escape the congestion of the noisy city. Hoboken’s Elysian Field—a meadow on the north side of town—offered a peaceful place for recreation and it was here on Elysian Field where the first game of baseball was played. The name of the school recalls this mythology, Hoboken’s unique place in history, its relationship to the larger metropolitan area and the majestic Hudson River. With more than 18 years of service, Elysian Charter School of Hoboken is recognized as a model charter school, offering a progressive education in a small-school-feel environment. We currently serve 288 students.